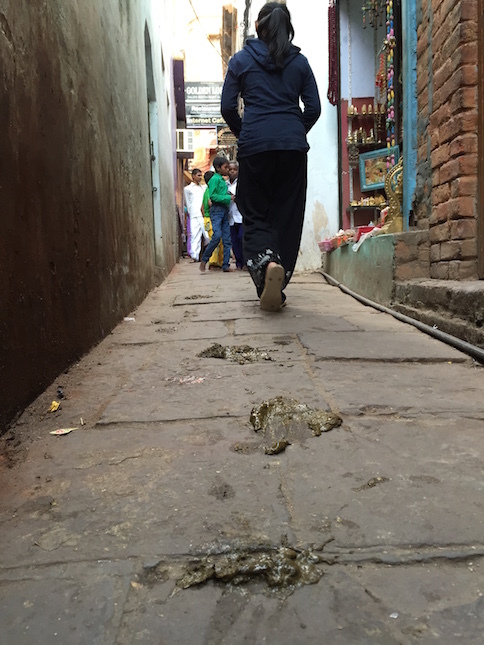 Need to look down where you walk in Varanasi, or else you might receive an unpleasant surprise! 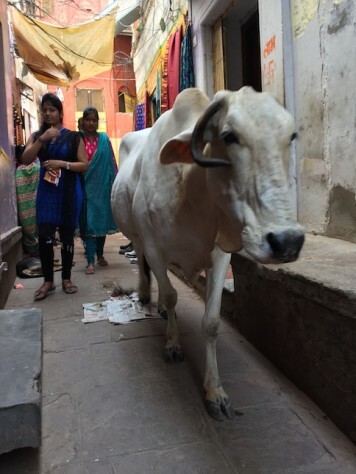 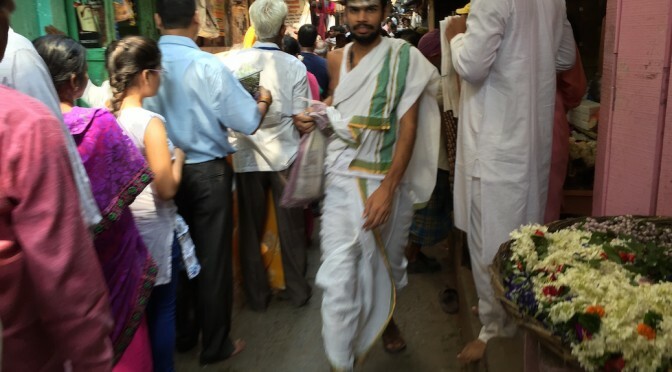 Holy cows and human share the same narrow alleys in Varanasi. 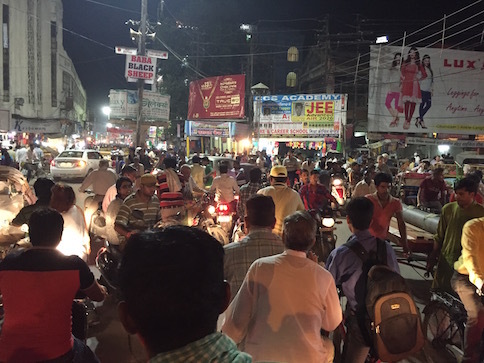 Motorbikes, rickshaws, taxis, pedestrians all shared the same road in India.